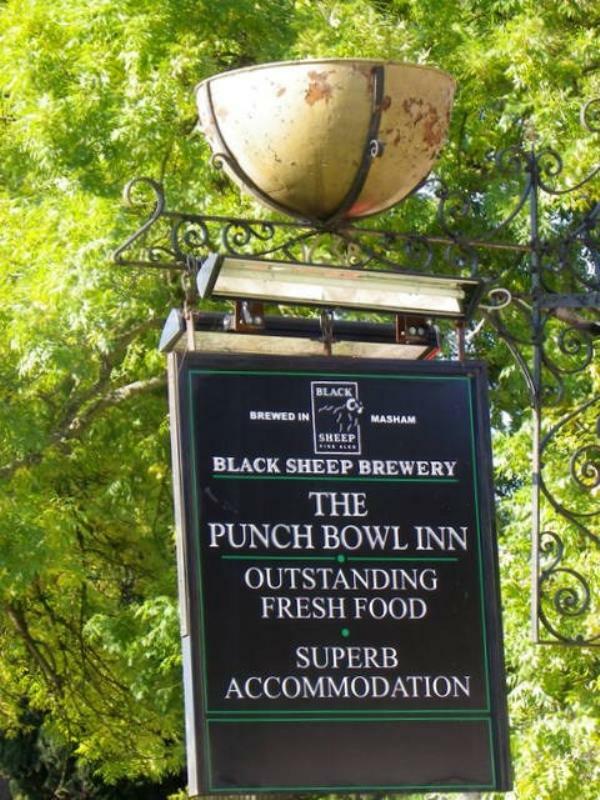 The Punch Bowl Inn is a lovely restaurant with rooms situated in picturesque Low Row, not far from Richmond and with breathtaking views across the valley and Yorkshire Dales. It is the sister establishment to the popular Charles Bathurst Inn located in neighbouring Arkengarthdale, and has also gained a reputation for providing food of the utmost quality. The exterior of this 17th century building is of a dry stone construction, but inside you will find a stylish contemporary décor. The restaurant has an open fire for cosy winter dining and a unique wooden bar, designed and crafted by Robert 'The Mouseman' Thompson of Kilburn. The kitchen is committed to sourcing the very best of local and seasonal produce, so lamb and beef are delivered from nearby Swale Hall, game comes from the surrounding moors and fresh fish is delivered from Hartlepool six days a week. The menu changes daily to reflect market availability, but regular favourites could include smoked fish platter, tomato, Swaledale cheese and pesto tatin with ratatouille chutney, Thai slow-cooked belly of pork with spices on egg noodles or Swale Hall 19oz aged sirloin with Stilton mash and red wine reduction. Finish with a traditional Yorkshire dessert of parkin with apple compote and custard or profiteroles with whipped cream and chocolate sauce. The Punch Bowl Inn also had eleven individually designed bedrooms with spectacular views across Swaledale. Hammonds of Askrigg Cumberland sausage ring, onion mash, red onion confit & "Sunday Lunch Gravy"
All of the above come with appropriate accompaniment of bread or seasonal vegetables where applicable.